1998, U.K. 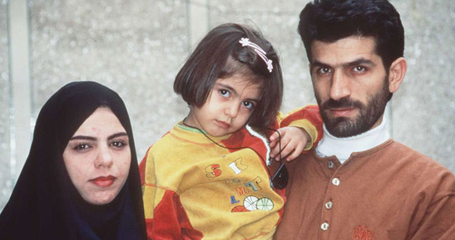 Under Islamic law, a man can divorce his wife at will, whereas a woman must have her husband's consent—or be able to prove impotence, insanity, or financial instability. Longinotto—a pre-eminent documentarist acclaimed for creating extraordinary human portraits and tackling controversial topics—collaborated with Islamic feminist scholar Mir-Hosseini on this hilarious, tragic and stirring fly-on-the-wall chronicle of six Iranian women’s struggle in Iran’s Family Law courts. With the barest of commentary, the film showcases the strength, ingenuity, and guile with which its subjects confront biased laws, a Kafaka-esque administrative system, and their husbands’ and families’ rage to gain divorces. 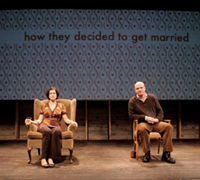 You Better Sit Down is a hysterical account of marriage and divorce, based on The Civilians artists’ interviews with their sardonic, candid and lovable parents. Four actors—each playing his or her own parents—are conduits of their parents’ stories.